In 2014, the Council of Europe led a European project to adapt and evaluate the antirumours methodology in 10 European cities. Now the interest is worldwide. The anti-rumour strategy. History has shown that processes of social polarisation and the increase of populism and xenophobic discourses, even if they do not amount to hate speech, can have very negative and even catastrophic consequences. Unfortunately, these processes are on the rise around the globe. Such narratives often hark back to an idealised past, and create barriers between “us” and “them”, defined in ethnic, national, cultural, economic, or religious terms. The Antirumours Strategy is a long-term process of social change that seeks to prevent discrimination, improve coexistence, and harness the potential for diversity by triggering a change in perceptions, attitudes, and behaviours among the general population and specific target groups. - To influence the political and social agenda so that reducing prejudices and preventing discrimination is recognised as a crucial collective goal for society as a whole. - To promote critical thinking and raise awareness of the negative effects of stereotypes, prejudices, and false rumours by implementing innovative and participative activities that reduce them, and challenging the negative narratives around diversity. The ARS’ innovative methodology combines the promotion of a local public policy with a process of social participation to engage and involve a wide variety of civil society actors. The ARS focuses on the way stereotypes and prejudice are created and above all on how to reduce them or, at least, reduce their negative impact. It was first promoted in 2010 in Barcelona as one of the actions of the city’s Intercultural Plan. From its inception, the strategy drew the attention of many cities and organisations internationally. Based on the project’s positive results, in 2014, the Council of Europe led a European project to adapt and evaluate the antirumours methodology in 10 European cities, where it has shown diverse and positive impacts, including some improvement in citizens’ perceptions about diversity issues in general and specific groups in particular such as migrants, refugees, ethnic minorities. In recent years, the ARS has also attracted interest from cities, governments, and organisations from non-European countries such as Japan, Canada, Mexico, Jordan, Morocco, Chile, Colombia, New Zealand and the USA, among others. How do antirumours cities explain the "success" of the ARS? 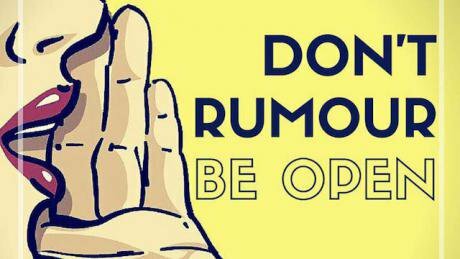 - Focus on rumours: Designing an initiative that focuses on rumours and not on other abstract or overly technical concepts has proved decisive in attracting attention, generating interest, and affording the pretext to tackle other issues and wider and more complex debates. - The “not blaming citizens” approach: The commitment to an approach based on empathy and not on blaming people for having prejudices, especially focusing on the ambiguous feelings of the majority of the population, rather than on the minority who are dedicated to spreading xenophobic and hate speech, has also allowed us to reach and attract the interest of many people who do not usually feel challenged by other discourses, and who tend to dislike a certain moral superiority and disdain. - Combining public policy and the city’s "social movements": The fact that the ARS consists of a public policy, but is also based on a strategy with a high participatory and collaborative component, especially insofaras it builds local antirumours networks, that involve a wide range of actors from civil society and citizens in general, is valued as a great asset that must be preserved and consolidated. - Much more than spreading factual data and arguments: The belief (and the evidence shown by experiences and numerous studies) that simple dissemination of objective data has a minimal impact in influencing perceptions, prejudices, and narrative changes, but that other more qualitative approaches that include the emotional component, dialogue, and the promotion of critical thinking, are key aspects in achieving greater long-term impact. - A commitment to empowerment: Focusing a part of the strategy on the empowerment of very diverse actors, through the antirumours agents, deploying various formative actions and providing practical tools to help people confront prejudices and negative narratives about diversity more effectively is another key aspect of the success of the ARS. - Value, the work that has already being done: Building the ARS up by identifying and involving the maximum number of experiences, projects, and key players that have been working on these issues and combining them into a collective and cooperative process of social change, is key to maximizing resources and energies, as well as achieving greater impact and guaranteeing the sustainability of the ARS over time. - Creativity, flexibility and adaptability: One of the main weaknesses of some traditional awareness-raising initiatives is their inability to reach and engage mainstream audiences, and not just those minorities that are already sensitive to the issue. In order to expand the target audience the strategy needs to be both creative and innovative at all levels. If we want to engage and motivate people to take an active role in this process, this experience must be exciting, motivating and, especially, useful and effective. The ability to adapt the antirumours approach to very different contexts and scopes, and expand its field of influence from a methodology that combines rigour with flexibility has also been highlighted as one of its main strengths. The Council of Europe, through its Intercultural Cities programme, is currently publishing an Antirumours Handbook to provide a detailed explanation of the antirumours approach and methodology, as we as many practical and inspiring examples from 20 cities that have been implementing an antirumours strategy. We think this will be a very useful tool to keep spreading the ARS while we also enrich and improve it, learning from the exchange of knowhow and lessons learned, identifying both the strengths and the weaknesses. The ARS must be seen as an innovative tool to work from the local level if we are to face some of the most relevant, global and crucial challenges our societies are facing right now.